Eating Disorders, You’re The Worst! Home| Eating Disorders, You’re The Worst! You wanted to be healthy and lose weight, and now all you can think about is your food and your weight. It is reasonable and attainable to set goals to live a healthy life and to practice both healthy exercise and eating. You wanted to lose weight and tone your body so you started working out and watching what you ate. Other people see that you have lost weight and comment on your body, but you do not see it. You look in the mirror but you are not happy with what you see. You feel fat and ugly. Your body feels uncomfortable. You find yourself obsessing about how your body feels while you are sitting or lying down. Because you feel this way you tell yourself if you only worked harder in the gym you would have the body you want. But you do not feel happy with your body. When you are not thinking about how your body feels you find yourself worrying about food. You watch the clock waiting for the next time to eat. As time gets closer you start feeling anxious and worried. You worry how you will feel after you eat, and you fear how eating will change your body. You should be hungry but you’re not, because you realize less caloric intake means your body will lose weight. You feel anxious and stressed because you are not perfect. You realize no one’s perfect but you want to be the best that you possibly can be. You feel empty and believe you don’t fit in. Perhaps if you looked a certain way people would like you more, and then you would feel successful and happy. But no matter how much you binge eat, how much you purge, how much work out, and much food you choose not to eat, you feel like something is missing. You feel that everyone sees straight through you and sees you as someone who is “different”. You just want to be normal so you try harder. You need food to survive – but it has become the thing you despise. An eating disorder is more than just binge eating or not eating at all. You are not alone. Many people that I have worked with struggle with self-esteem and self-doubt. You may feel like you do not belong, and believe that controlling your food and your body will help you achieve happiness and success. People with an eating disorder often struggle with not liking their bodies and don’t see the value in their body. You do not, and seemingly can’t, see yourself the way others do. You do not like what you see. Eating food causes you to be upset. You may eat to avoid feeling, or perhaps you eat because you feel stressed and overwhelmed. When you eat too much you feel guilty and hate yourself. You either workout extra hard to burn the extra calories or you try to purge the calories from your body. Eating disorders are more than bulimia or anorexia. You may struggle to control your eating, and feel ashamed and embarrassed you cannot stop. An eating disorder can cause you to be fearful and anxious when faced with eating certain foods. It can be scary and intimidating to go out and eat with friends and family. 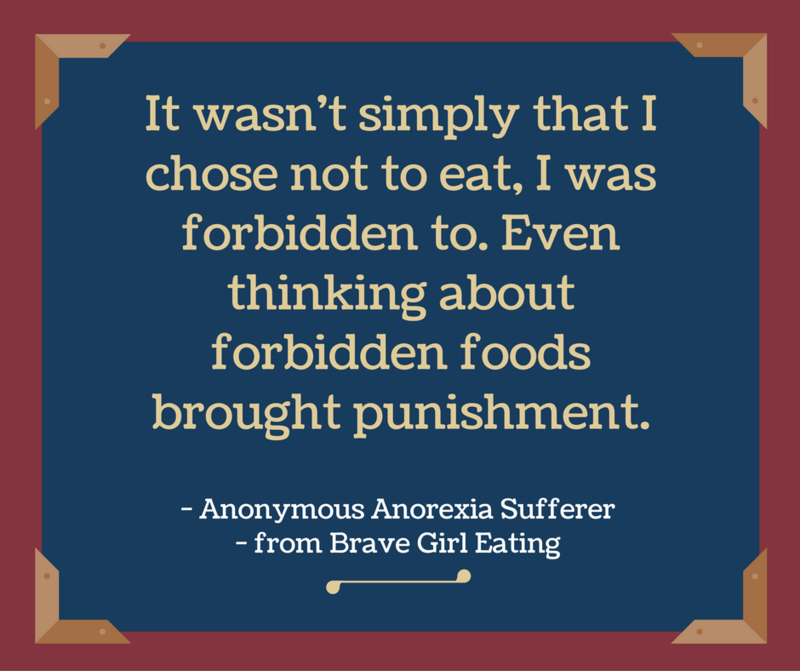 An eating disorder can cause you to have trouble making healthy food choices. All eating disorders cause you to hate and doubt yourself, hate your body, and feel upset when you eat. Together we can overcome your eating disorder! You can learn to love your body, you can learn to feel comfortable when eating food. You can learn to feel in control of your health, your body, and your life. Improving your relationship with food is attainable by looking at the mental process that causes you to feel upset, and then working to challenge your thinking and change your perspective about food. You can feel more in control of your mind and your life. For over 10 years I have been successfully helping those who struggle. I have struggled with my own body image and eating challenges and I understand how your health is important to you. It is okay to set health goals, but I will work with you to find balance so that you feel in control rather than controlled by negative thoughts and anxiety about food. Together we will work together to improve your “body image” issues, teaching you to love your body again. If you are ready to stop the cycle and ready to gain control of your life, Contact Me today! 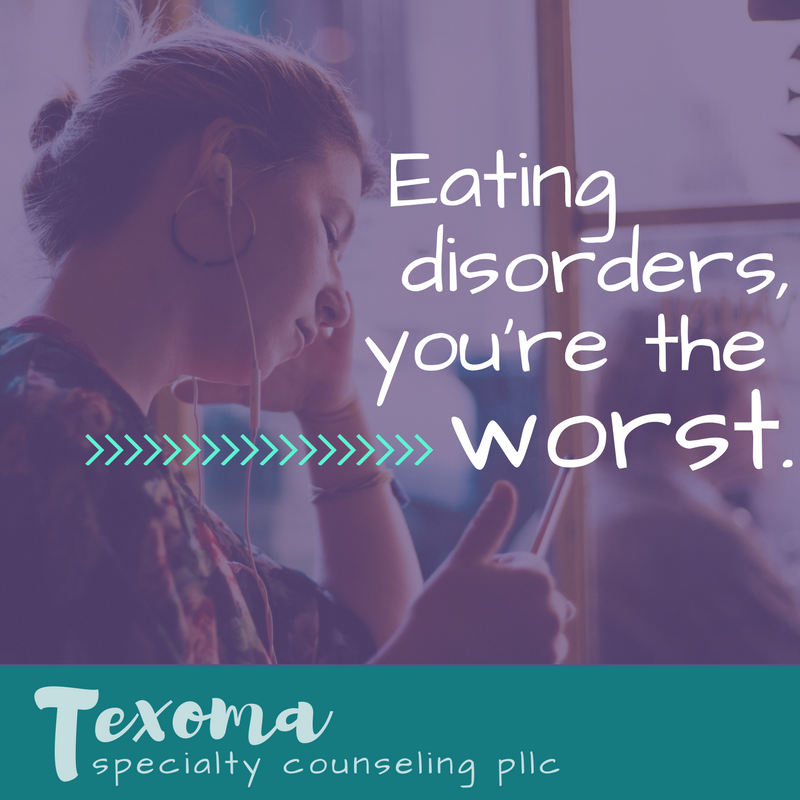 If you are interested in staying up to date with interesting news and topics regarding eating disorders and eating disorder treatment, check out the Texoma Specialty Counseling, PLLC Blog today! You can find me in Sherman, TX. I specialize in working with individuals who struggle with eating disorders, sexual trauma, and anxiety. I dig deep to help them restore peace, happiness, and confidence in their lives. I am not a “stuffy”, you lie on the couch while I analyze you-type therapist. Rather I am pretty relatable and laid-back. I will tell you about my experience and why I think I am a good therapist. This will help you determine if I am the right therapist for you. But first I want you to know a little bit about me. I will offer you perspective, challenge thoughts, feelings, and behaviors that keep you from experiencing happiness, confidence, and success. You will find I am human and I am fun. I love Texoma and am very involved in our community. You will likely find me out and about with my dogs and my husband enjoying all the activities and adventures our wonderful and small community offers. 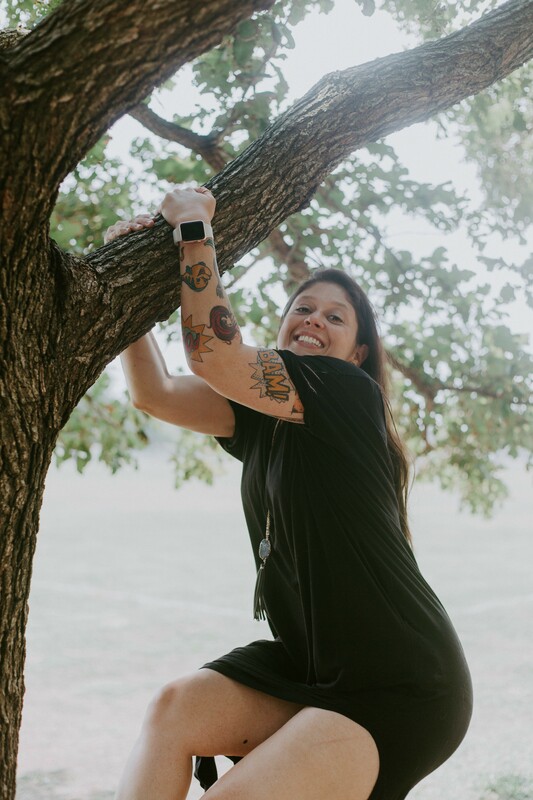 I grew up here in Texoma and I am proud of our quiet and unique way of life. Have you thought this in the last 30 days?